It's always nice to find a T-Shirt that is super comfortable and you don't have to wear anything underneath. Am I right? 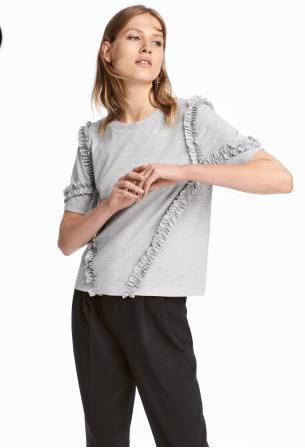 This top from H&M is on sale for only $5.99, reg $17.99!! It comes in pink, gray and white and at this price, it would be reasonable to buy all three. Free shipping on orders over $40 from H&M when you use code 0040 and they offer free in-store returns!